It was a day when seeds failed to sprout and hot favourites bit the dust. The rot at Sunday’s French Open World Tour Super 750 badminton championship finals began with the second match of the day, the men’s doubles; and extended all the way to the two stellar singles events, leaving China’s mixed doubles specialists, Zheng Siwei and Huang Yaqiong, the only top seeds to win a title at the $775,000 prize money event. 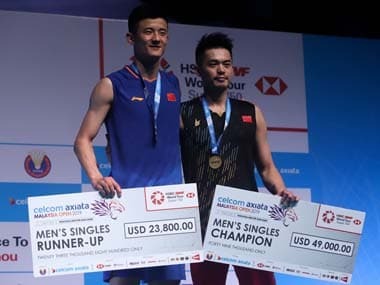 The world’s most feared men’s doubles combination of Indonesians Marcus Fernaldi Gideon and Kevin Sanjaya Sukamuljo, who have held on to their World No 1 ranking for most of the year, came to grief at the hands of a fresh-faced Chinese duo of 20-year-olds, Han Chengkai and Zhou Haodong. The two young upstarts, born one month apart in 1998, held off a determined second-game thrust from the Indonesian top seeds, and won at 23-21, 8-21, 21-17 in a bitter 52-minute battle. The women’s doubles, however, went the way of the more fancied pair, with the reigning world champion pair of Mayu Matsumoto and Wakana Nagahara, seeded fifth at this French Open, outpointing the Bulgarian sisters, Gabriela and Stefani Stoeva, by a 21-14, 21-19 margin in 43 minutes of absorbing action. The Stoeva siblings had shown Indian badminton-lovers their potential during the Premier Badminton League (PBL) in January this year, and have been improving with each tournament in the course of this year. Then, in the biggest shock of the day, the world’s long-reigning top-ranked woman, 24-year-old Tai Tzu Ying of Chinese Taipei, tasted defeat at the hands of the No 2 seed, Akane Yamaguchi of Japan in the day’s longest match, lasting 67 minutes. The doughty, grimly determined Japanese outlasted the artistic but wayward defending champion by a 22-20, 17-21, 21-13 scoreline, to cap a brilliant return to title-winning ways after a temporary hiatus. After pocketing as many as seven Superseries titles in 2015, the best year of his career, his solitary harvest from the 2016 season was the Olympic gold medal. He wore down the legendary Lin Dan to bag the Asian title in 2017, and followed it up by winning the China Open for the fourth time in his career, at the expense of Denmark’s Viktor Axelsen, the man who had wrested the world title from his grasp in Glasgow. The year 2018 has been barren for Chen, as far as World Tour titles are concerned. Even during the Thomas Cup finals, he surrendered at 9-21, 18-21 to Kento Momota in the opening singles, though China went on to win the next three matches to bag the coveted trophy for the first time since 2012. Niggling injuries have been the Chinese star’s bugbear, as also a lack of staying power. 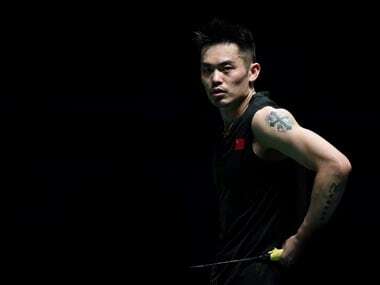 At the French Open, though, he has looked much more like the all-conquering player of old, notching convincing victories over Frenchman Brice Leverdez, Denmark’s Jan O Jorgensen, Indonesia’s Asian Games gold medallist Jonatan Christie and the top-seeded Momota, before taming Shi Yuqi in the final. Only against Christie was he forced into a decider, dropping the middle game before flooring the gas pedal in the decider. China’s Chen Yufei, to whom she conceded the first game narrowly. The Taiwanese ace, however, roared back strongly in the next two games to win the penultimate round clash at 18-21, 21-12, 21-14, making sure that Chen got a scant chance of upstaging her in the decider. In the final, however, she came up against a tireless stonewaller who thought nothing of being jerked around like a puppet on a string, but recovered to keep the rallies going, and Tai away from the net, where the Taipei player is so strong. Yamaguchi is not affected by Tai’s deception as comprehensively as are many of the other players on the international circuit, and only trailed the World No 1 5-7 in career meetings, going into the match.